Grow their brains and hold your kids' interest! 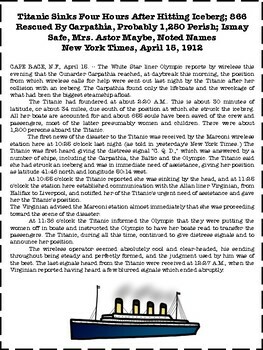 Are your kids fascinated by the Titanic? I know my kids love to read anything about it! This bundle includes 4 centers or small group lessons incorporating CCSS ELA standards and social studies standards with text based short answer questions using poetry and primary documents. 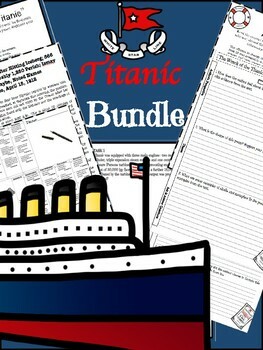 The bundle also includes extensions for enrichment and vocabulary building graphic organizer. 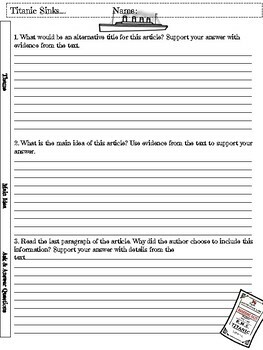 Use the rubric included or download the FREEBIE self-grading rubric center. Visit my store for more creations!